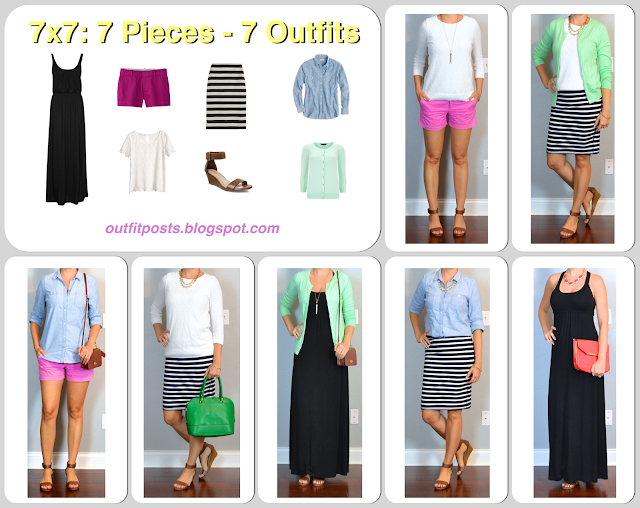 Last summer Audrey at Putting Me Together (one of my favorite blogs ever) hosted a fun 7×7 remix challenge. The idea of the challenge is to show 7 outfits created from 7 pieces (counting shoes) to help you to stretch your ideas for different & new ways to wear a small number of items. I love the idea! I participated in Audrey’s challenge last year with this post (fall) and this post (spring). I think it’s high time for another round of the 7×7 – summer 2014 edition! Thank you! I was panicking about packing for a weekend getaway (to the US/Mexico hot hot hot border) and this is perfect! Perfect timing! As always, you saved my suitcase! I sell Stella & Dot – love to see that you have gotten a few more pieces. The Rebel pendent is one of my favorites! 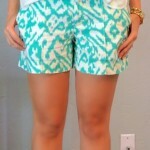 Totally loving the chambray/pink shorts combo! Yay! I hope you have/had a fantastic time! !